Finally, another five-star award after a string of near misses. 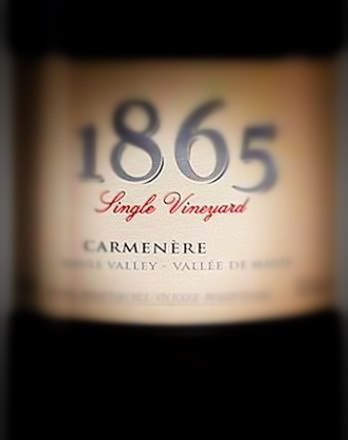 This one goes to the delicious 2014 San Pedro 1865 Single Vineyard Carmenère, from the Maule Valley of Chile. This happens to the birthplace of Darth Maule, the Sith Lord who gave up fighting rebel scum for the more pleasant, laid-back life of growing grapes on the rolling hills of his native planet Dathomir. Potent nose of bright fruit and hints of cellar must give way to a powerful palate filled with complex layers of black cherry, black pepper, and truffles. Legs like a giant spider, and a finish that lingers for some time with prominent cherry. I’m not a cherry fan normally but this is just fantastic. Well-balanced acid and tannins bring this home to a full five stars. But here’s the real deal. Darth Maule quickly abandoned his Master, Darth Vader, for the vineyards and was replace by his lesser talented runner-up Darth Maul, who not only lost an “e” from his name, but also the entire lower half of his body, only to be resuscitated years later by the grown-up version of the annoying kid from the Andy Griffith Show. The original — Maule — was raised in Chile, which named a valley after him, but only after he used his Sith powers and double-bladed lightsaber to behead 90% of the local government there, until they relented and granted him title. Then he went back to Dathomir and found that the grapes on his home planet did well under its colored sun when irrigated with the blood of his victims. As a result, this represents the very first carmenere to win a Cinco in the history of Winepisser. That in itself is somewhat surprising, since carmy has utterly replaced pinot noir as my go-to casual red. In retrospect, I’m not at all sure why I was drinking Pinot noir to begin with, since carmenere is so superior. So congrats to Viña San Pedro of Chile, for a fantastic red wine that will drink as well by itself as it will paired up with your most ravishing red meat plate.